Courtesy of Jami F Dennis, RE/MAX Realty Centre, Inc.. 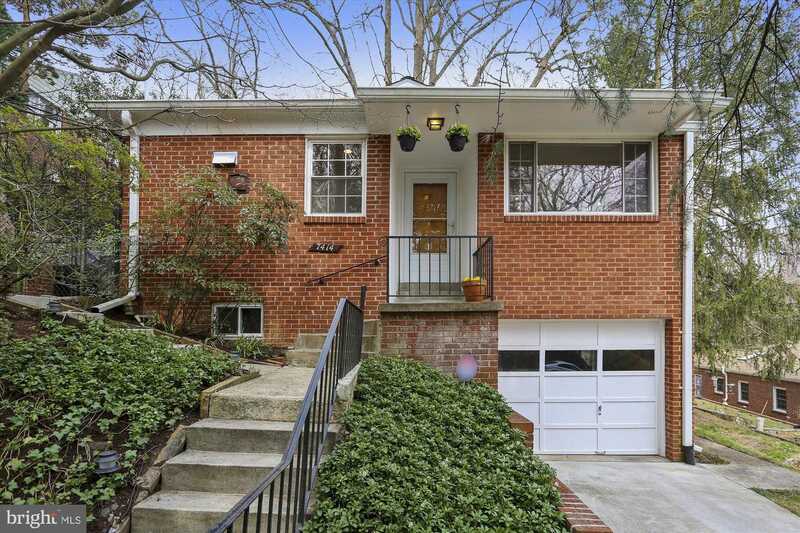 Stunning mid-century modern home overlooking Sligo Creek Park. Set atop a hill with spectacularly serene views from the large picture windows in the living space, 7414 Aspen Ave offers a peaceful ambience that is perfect to come home to. Featuring the charm of yesteryear with corner window walls-birch slab doors-sleek original built-ins–yet completely updated throughout and truly turn-key for you to move right in to. This 3 Bed 2 Bath home features a modern kitchen with white shaker cabinets-soft close drawers-quartz countertops-Samsung stainless steel appliances-gas cooking and heat, new ac, recent roof, updated lighting and electric, updated windows, great natural light, walkout basement, good storage including Elfa closet systems, updated baths, soothing paint palate, and custom blinds. With summer right around the corner, the wrap around patio will be perfect for entertaining your friends and family or just daily dining al fresco–embracing the indoor-outdoor flow this house affords. Close to shopping, trails, restaurants, Takoma food co-op, metro, etc. Do not miss this one!